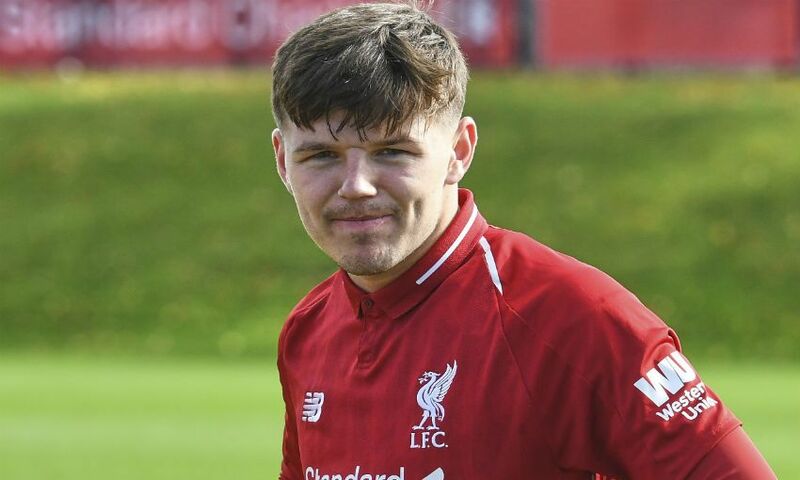 Bobby Duncan scored four and Paul Glatzel netted a last-minute winner as Liverpool U18s beat Middlesbrough 6-5 in a thrilling game on Saturday. The incredible victory in their final league fixture of 2018 means Barry Lewtas’ side have once again closed the gap on U18 Premier League leaders Everton to just one point. Duncan gave the young Reds the perfect start at Rockcliffe Park when he opened the scoring after just three minutes, but Boro's Stephen Walker converted a penalty soon after to level. Walker then made it 2-1 before Elijah Dixon-Bonner pounced to equalise, and it was 3-2 to Lewtas' team by the 27th minute thanks to Duncan with his second of the match. Boro's Isaac Fletcher pounced to beat Vitezslav Jaros and level again before the break, before Walker completed his treble with another penalty to give the hosts the lead early in the second period. Duncan then got his own hat-trick goal, but Fletcher responded quickly to see Boro go 5-4 up on 65 minutes. But there was more drama to come, as Duncan made it 5-5 with his 16th goal of the season and then set up his strike partner Glatzel to fire home the U18s' fourth last-minute winner of the campaign. Reflecting on the victory, Lewtas told Liverpoolfc.com: "We got there in the end against a very good Middlesbrough side. We kept going and we did well to get the win. Bobby's finishing was very good and he and Paul led the line really well. "They are a real handful and you always think if a chance falls to them then they will score. What we are not happy about - and to be fair the boys are not happy as well - is conceding five goals. "I told the boys we shouldn't have to work that hard all of the time and have to score six to win it, but in saying that I don't want to be disrespectful to Middlesbrough because they were really good today. "To be fair to our boys, they showed fantastic character. They don't drop their heads and they keep going right to the end which is really positive. "When we got it back to 5-5 we didn't celebrate the equaliser and instead Paul tried to get the ball back quickly from their goalkeeper so we could get the game going again and try to get a winner. That says a lot about us as a group I think."